If this one looks familiar, that's because it is! It was on the Hoffman website for a year and a half. Now, it's ours again and we have refined the directions and added sizes! 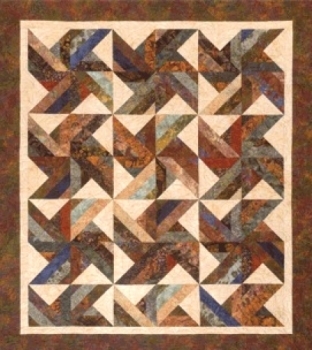 This wonderful design makes a classically stunning quilt, and the Strip Tube Ruler makes it a breeze!